The Early Start Denver Model (ESDM) is an intervention program recommended for pre-schoolers with autism ages 12–48 months. The rationale for this recommendation is the potential for intervention to affect developmental trajectories during early sensitive periods. We investigated outcomes of 32 children aged 18–48 months and 28 children aged 48–62 months receiving the ESDM for one year (approximately 20 h per week). Younger children achieved superior verbal DQ gains compared to their older counterparts. 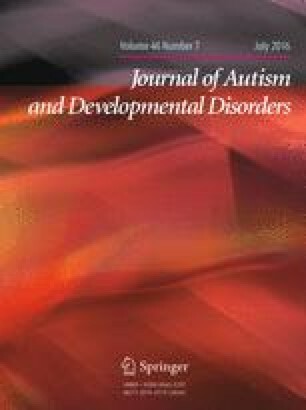 There were no group differences with respect to non-verbal DQ and adaptive behavior (with both age-groups undergoing significant change), or ASD severity (with neither age-group showing improvements on the ADOS). The association between verbal DQ gains and age at intake was moderated by baseline verbal level. The Victorian ASELCC Team in alphabetical order: Kristy Capes, Ed Duncan, Jessica Feary, Carolyne Jones, Liz Kirby, Benaaz Master, Dianna Pell, Katherine Pye, Jennifer Reynolds, Shannon Upson, Cynthia Zierhut. The present research was supported by the Australian Government Department of Social Services. We thank Jenny Mayes, Denise Williams and Anu Massey for their assistance in running the Victorian ASELCC program. We also thank Kristelle Hudry, David Trembath, Josie Barbaro, Wojciech Nadachowski, Elfriede Ihsen, Nusrat Ahmed, Heather Nuske, Megan Clark, Lisa Rumsey, Megan Grant, Carmela Germano, and Cathy Bent from the Olga Tennison Autism Research Centre for assistance with the assessment and data collection process. Thank you also to Prof Sally J. Rogers and to Prof. Margot Prior for constant encouragement and support. Finally, we thank all the children who took part in the project, as well as the parents who gave so generously of their time by filling forms and questionnaires. GV and CD designed research; GV and Victorian ASELCC Team performed research; GV analyzed data; and GV and CD wrote the paper. All authors read and approved the manuscript.